Johann Gutenberg was born around 1400 at the Hof zum Gutenberg in Mainz, Germany. He was the youngest son of Friele Gensfleisch zur Laden and Else Wirich. Gutenberg’s paternal ancestors were cloth merchants and long-distance traders who held hereditary positions in the archbishop’s mint. His maternal ancestors were shopkeepers. This class difference between Gutenberg’s parents prevented him from benefiting as much as he might have from a later association with the mint—an upper-class privilege. Biographer Albert Kapr points out that Gutenberg was known by a different name as a youth. Little is known of his childhood and education, though his later achievements show that he was probably well educated. The 1418 to 1420 enrollment forms of Erfurt University mention a Johannes de Alta villa, which Kapr believes may refer to Gutenberg. Much of what is known about Gutenberg’s adult life comes from the records of his financial and legal troubles. While living in Strasbourg, he made his living as a gem cutter and polisher, also teaching students these skills. One of his students was a wealthy citizen, Andreas Dritzehn. 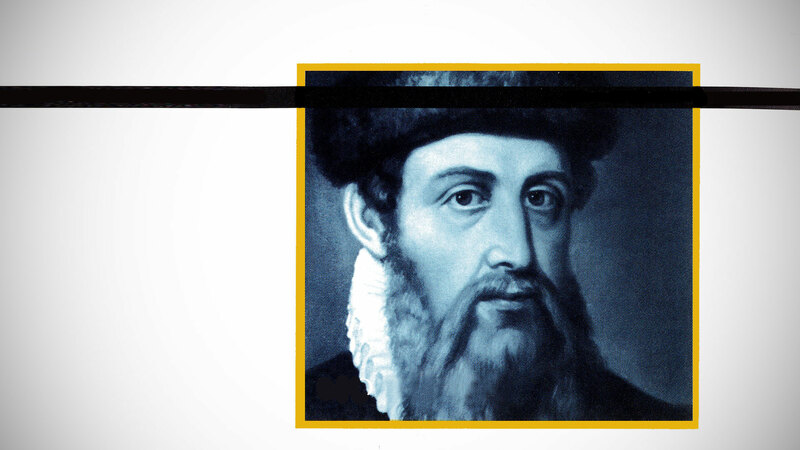 In early 1438, Gutenberg formed a business partnership with Dritzehn, Hans Riffe and Andreas Heilmann. Together they manufactured “holy mirrors,” which were sold to pilgrims traveling to Aachen. The pilgrims believed the mirrors would capture the rays that supposedly emanated from religious relics displayed in Aachen. The mirrors would then be carefully covered until needed for the healing of loved ones or farm animals. Gutenberg and his partners expected to make a profit because of the huge demand for the mirrors. Unfortunately, they miscalculated the date of the pilgrimage and had to wait another year to recoup their investment. Rather than dissolve the partnership, they drew up another contract by which Gutenberg allowed them to participate in a secret project he had been working on. The new contract was to last for five years and included a clause stating that if one of the partners died, his heirs would be prohibited from joining the partnership and would instead be rewarded financially. Dritzehn died in the Black Death shortly after the new contract was written. His brother, Jörg, then sued Gutenberg in an attempt to join the partnership. Records of the lawsuit reveal an enterprise referred to as “the adventure and art”—a project that required great expense and had to do with the development of a wooden press with movable type. Gutenberg lost the case and Jörg Dritzehn became the new owner of the printing press. If indeed Gutenberg succeeded in printing anything while in Strasbourg, nothing remains. The new contract still had several years to run, so it’s likely that Gutenberg sought capital for a new press and continued to refine his techniques. Records show that in 1448 he returned to Mainz to borrow money from his brother-in-law, Arnold Gelthus. Gutenberg used this loan to purchase another workshop, apparently for the purpose of generating profit though rapid sales. Several small printed items from this period have been traced to him, including Latin grammar books and a calendar. In 1450 Gutenberg borrowed a considerable sum of money from Johann Fust, a wealthy businessman and moneylender. The loan funded the construction of printing equipment for another workshop, which was large enough to accommodate the inventor’s next and most ambitious project, the 42-line Bible. Gutenberg viewed printing as a craft, not as a replacement for handwriting. Gutenberg viewed printing as a craft, not as a replacement for handwriting. Beautifully illustrated handwritten books were at the height of their popularity in Europe, and Gutenberg desired to produce an item of exquisite comparison. His decision to print Bibles may have been influenced by pro-Reformation leanings. In the mid-15th century, Bibles were rarely available outside churches and monasteries, but reformers had begun challenging the status quo. Abbots wanting to reform their monasteries recognized the need to have uniformly translated Bibles in their libraries, and Gutenberg’s new technology provided a way to do so. Two years after receiving the initial loan from Fust, Gutenberg borrowed an additional amount that enabled him to start printing the Bibles. It was a massive undertaking that took two years to complete. At the height of production, Gutenberg and his assistants printed 300 sheets a day using six presses. A finished Bible consisted of 641 sheets and was bound into two volumes. The text was organized in two columns of 42 lines per page and resembled a beautifully illuminated manuscript. Gutenberg’s workshop produced approximately 200 such Bibles, though estimates vary somewhat. About 40 or 50 copies survive today and are housed in libraries around the world. Toward the end of the printing of the Bibles, Fust sued Gutenberg and demanded repayment of the loans, plus interest. The specific cause of the lawsuit is unknown. Gutenberg’s uncompromising style may have conflicted with his partner’s desire for a speedy return on his investment, or perhaps Fust suspected Gutenberg of diverting funds for his own projects. Gutenberg lost the case and much of his equipment, including the type for his next project, a Psalter, which Fust went on to produce in conjunction with Gutenberg’s most experienced employee. After the court case, Gutenberg opened another workshop with the help of a friend. Unable to duplicate his previous successes, he produced small, easily printed items. In 1462, Mainz fell to the soldiers of Archbishop Adolf II von Nassau. As a result, most printers fled the city, spreading their craft throughout Europe as they reestablished their businesses. In January 1465, the archbishop, in an attempt to make up for past wrongs, pensioned Gutenberg. He lived out his last years in relative comfort and died on February 3, 1468. His legacy, however, continues. As a result of Gutenberg’s invention, books could be printed cheaply and in huge numbers. Thus he touched off a knowledge explosion that otherwise would have been impossible. The Bible, too, enjoyed increasingly widespread distribution thanks to Gutenberg. And now that the printing age has given way to the digital age, the Bible and its teachings are more available—though not better understood—than ever.